The trailed design also lowers the tractor ballast requirement, allowing use with smaller tractors, while maintaining excellent stability both at work and in transport. 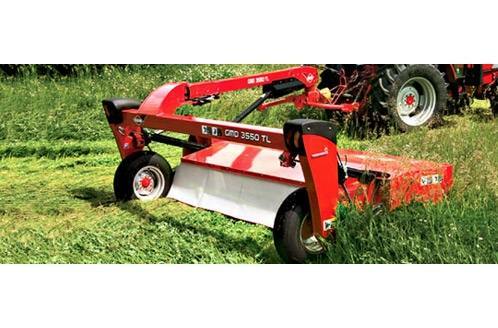 These new Kuhn mowers are the logical, practical alternative to mounted disc mower and “caddy" combinations. Get quality and reliability, along with outstanding support and maximum resale value, from the pioneer in disc mower technology and the world’s leading implement manufacturer. Working width: 11 ft.6 in. Transport width: 11 ft.8 in.